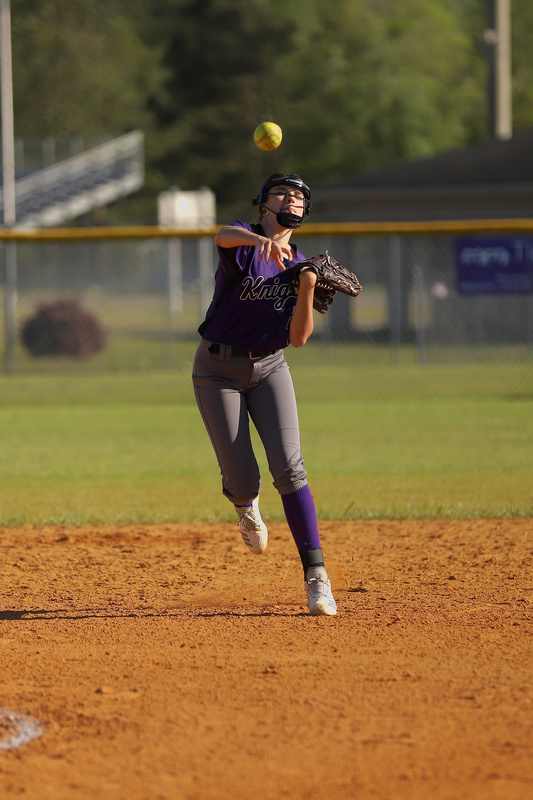 BLADENBORO – West Columbus rallied for 5 runs in the final two innings to defeat West Bladen 5-3 Monday night in Three Rivers Conference softball action. 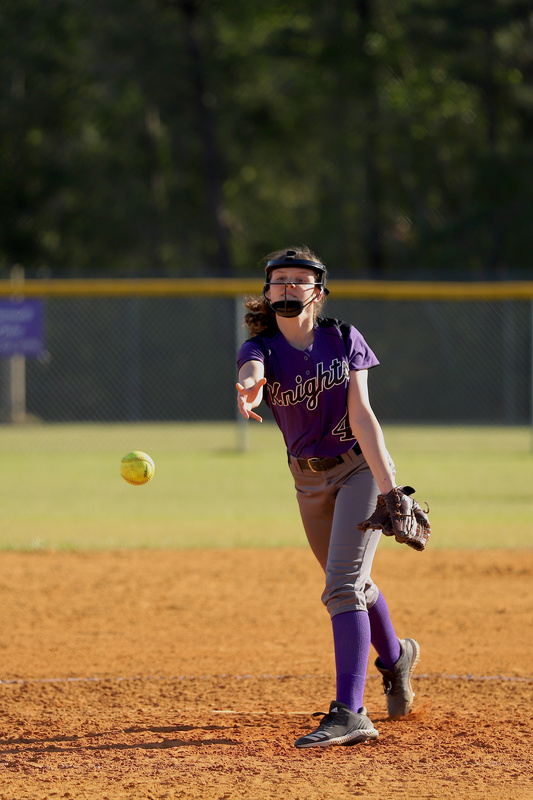 West Bladen sophmore pitcher Shelby Pharr carried a no-hitter into the sixth inning with a 3-0 lead. 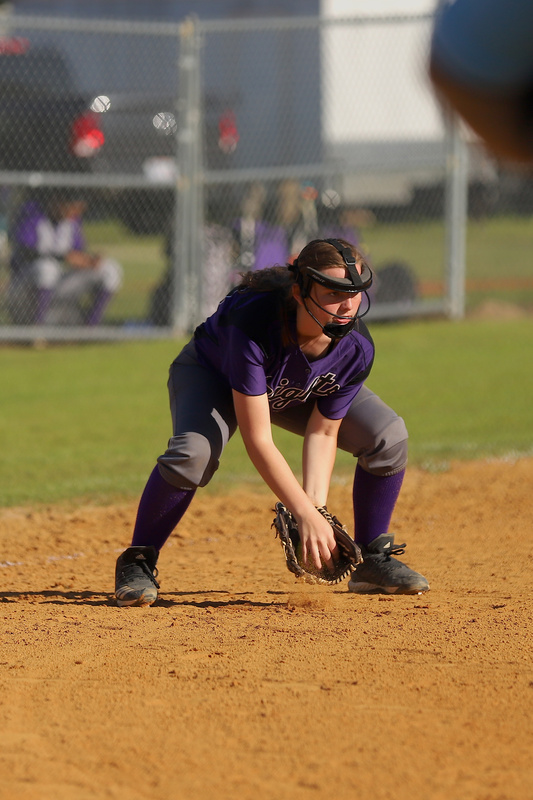 Ashley Washington and Gretta Strickland both reached base on errors. 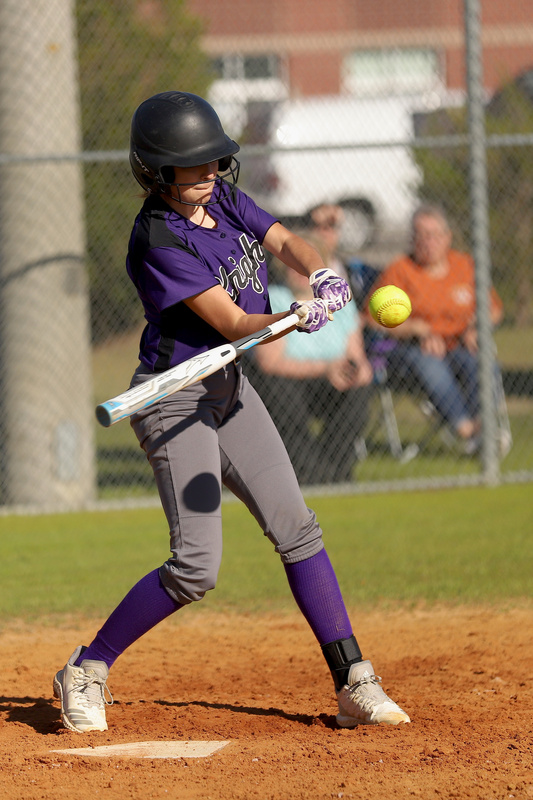 Pitcher Leah Floyd slammed a double for the first Lady Viking hit that scored Washington and Strickland. Brittany Barnhill singled home Floyd with the tying run. 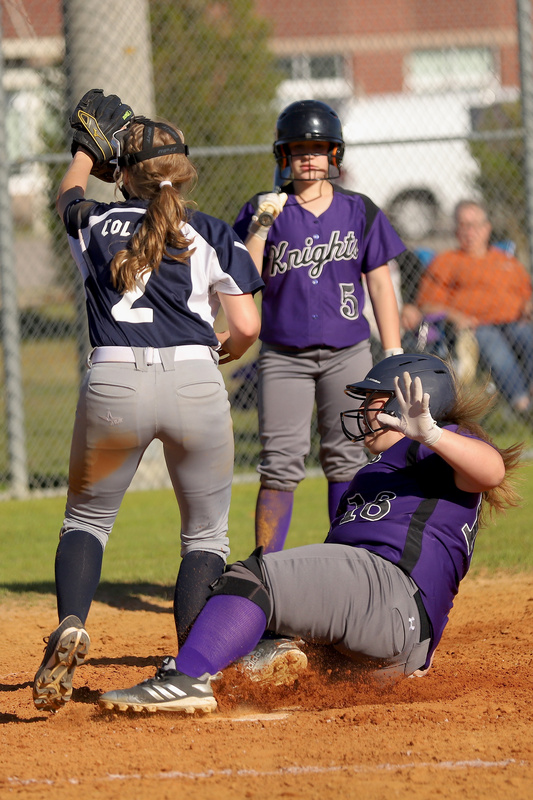 Alexis Bullard reached base on an error to start the West Columbus seventh. Kloey Nance knocked in Bullard with a double that vaulted the Lady Vikings in front. 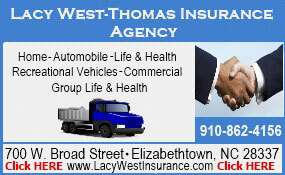 Washington singled home Nance with an insurance run. Pharr pitched a 4-hitter, allowed only two earned runs and walked one while striking out four. The Lady Knights jumped in front 2-0 in the first inning. 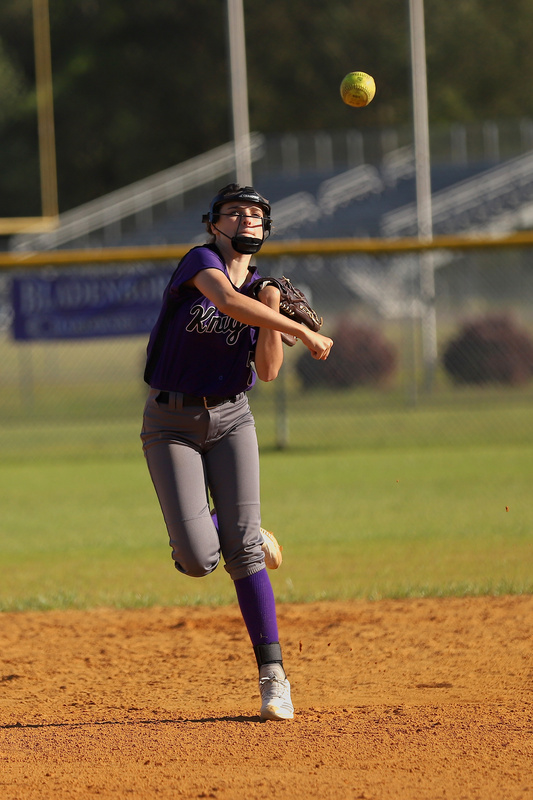 Junior Kyla Reed laced a single to left-centerfield, and junior Alara Cashwell smacked a single to left-center. Reed darted home on a wild pitch, freshman Hannah Pait beat out a bunt single, and sophmore Alyssa Suggs’ fielder’s choice scored Cashwell. 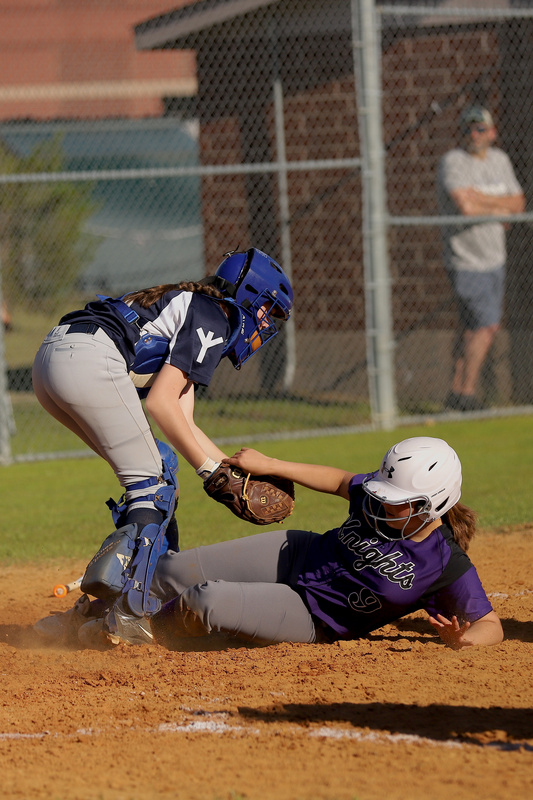 West Bladen pushed their lead to 3-0 in the fourth inning. Junior Kasee Singletary beat out a bunt single, and scored when senior Conner Brisson hammered a double to left-centerfield. 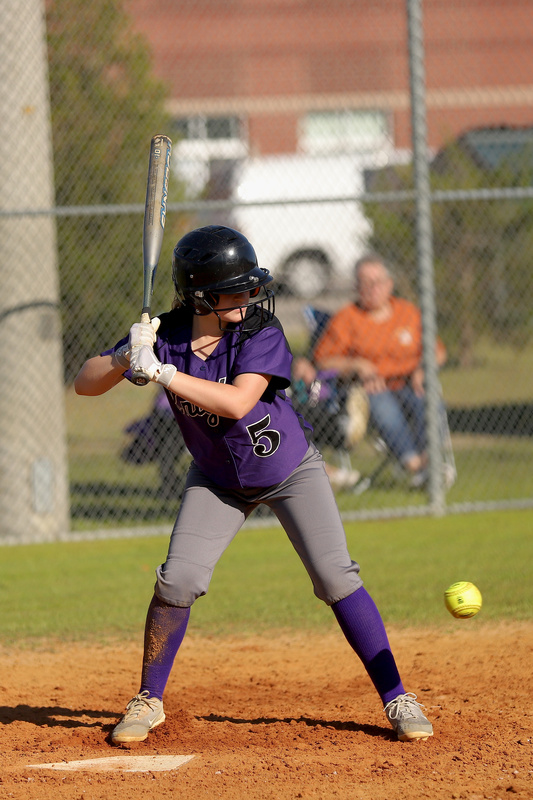 Cashwell batted 3-4 with a double and a run scored to lead the Lady Knight hitters. Singletary finished 2-3 at the plate with a run scored. Brisson batted 2-4 with the run-scoring double. Reed and Hannah Pait added one hit each. Reed scored a run, and Suggs drove in a run. Floyd led West Columbus with the 2-run double and a run scored. Nance doubled home a run and scored one. 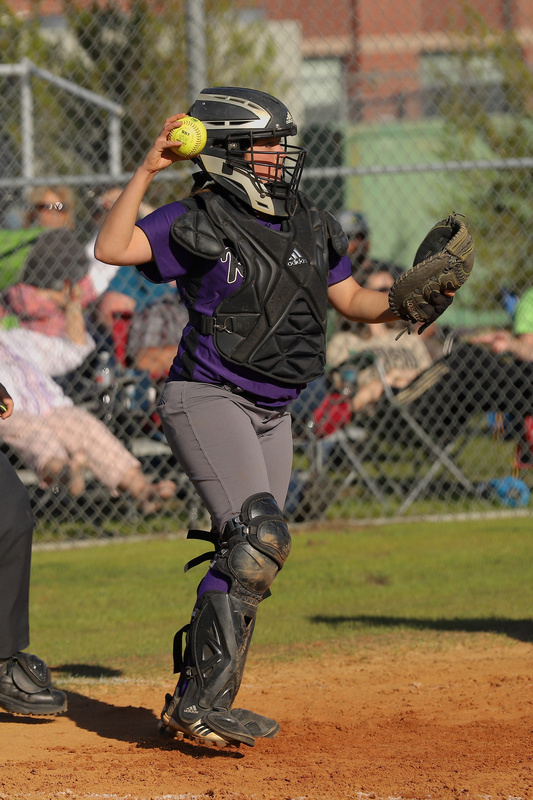 West Bladen, now 8-5 in league play and 10-5 overall, will host East Columbus Tuesday night.